This morning I wake up in a panic. As fast as I can muster, I scramble out of bed and, despite all logic, turn on some lights. Whether or not this will do any good, it makes me feel better. Isn’t it strange that a blind person still feels better with the lights on? I’ve awoken from a dream which seems terrifyingly too real. In my dream, I am in bed slowly waking up to a new day. Suddenly a huge black dog jumps on top of me, pinning me down. It is bigger than Allegro, who is 75 lbs, but not substantially so. It is perhaps 100, 110 lbs. I admit to not wanting to look at it much though, so can’t say more about it. Instead, I turn my head toward the right side of the bed and start screaming for Allegro to help me get the dog off me. Allegro is wagging his tail and wanting pets, but seems unphased by the fact that there is a nasty canine growling and bearing its teeth preventing me from getting out of bed. Then I wake up. By the middle of the day, I’ve put this incident safely out of my mind. I make dinner and then get comfortable to listen to a good book. I have no obligations for work or school not just because this is December and still winter break but also because I’m on medical leave, so I’ve been happily doing as the spirit moves. My dad has given me a fascinating book for Christmas. It is Cathie McGowen’s novel, The Expected One, about a modern-day descendent of Mary Magdalene. Now, even though Mary Magdalene is from the Christian tradition, she is a feisty, strong, compassionate, fascinating woman particularly from McGowen’s perspective. Incidentally, McGowen portrays Jesus himself, who in the novel is Mary’s husband, as being a human being I might actually want to meet. Besides, it is obvious that a lot of historical research went into the making of this book, along with excellent descriptions of remote villages in France, and modern Jerusalem, and I adore historical fiction. So it is after midnight, and I am contentedly listening to yet another chapter on CD. Suddenly, a dog appears at my front door, growling menacingly and glaring at me. It looks identical to the dream dog. However, I am *not* dreaming now! I’m even more terrified than I was this morning. I try not to look directly at it. I can almost hear its low-throated snarls, and am too petrified to move. How on earth did it get in here, I wonder. And then it hits me: I have closed my portals to the otherworld, but unfortunately not before this beast got into my apartment to terrorize me. What kind of dog is it? Who sent it here? What am I going to do? As my mind races, a picture flashes before my eyes of a scene in the novel The Last Miracle At Little No Horse. In the scene, a black dog personifying the devil leaps onto the main character while she is sleeping and won’t let her move. This devil stuff is one reason I left Christianity. I couldn’t believe in a religion that seemed to glorify suffering with its image of a crucified god while creating a nonhuman entity upon whom to lay the blame of all the evils of human nature. I seriously hope this dog is not the devil. Probably not. I wonder if this might be Cú Chulainn’s dog totem animal instead? He is, according to my otherworld friends, quite the narcissist as well as their personal rival and they’ve made sure I haven’t run into him. Even so, I doubt even Cú Chulainn or his totem animal would be this vicious for no apparent reason. I admit defeat at the “who?” question and quickly return to the more pressing need for action. All this speculation isn’t helping the situation whatsoever. The dog is looking more and more malevolent, and if I am honest with myself, banishing this dog is far beyond my capabilities. I start wondering whether I ought to slip out the back sliding glass door and … what exactly… spend the night outside? It’s cold and it’s now around one in the morning. At this moment I sense some sort of activity occurring to the right of where I’m sitting. I haven’t been paying attention to that part of the living room, as all my focus has been on the snarling dog at my front door. With the exhaustion of having to suddenly remain seriously vigilant, I reluctantly turn my eyes briefly from the dog, hoping it won’t take this opportunity to rush at me. I feel paralyzed with fear, but fortunately my head actually obeys my command to move. My head turns, and suddenly I am looking up, straight into Oisín’s greenish-blue eyes. I am profoundly relieved to see him here. He’s in fact standing right next to me, his facial expression impossible to read. There are two other féinnidi standing behind him, but it’s too difficult from my vantage point to see them clearly enough to possibly identify who they are. Identifying them is not immediately important, anyway. I’m thinking, by the gods this situation is much, much worse than I thought. Again I wonder how this could have happened. The dog is still there, fierce and terrible, a defiant look in its eyes, as if it were challenging us to go ahead with the impossible. Oisín is no longer in my line of sight, and I’m in panic mode for a second until he puts a reassuring hand on my shoulder. I am so grateful we have more than one way to stay connected, and now, I feel safe. As I watch, a radiant glow streams past my peripheral vision. I blink. I am definitely looking at some kind of object that looks sword-shaped, but which is entirely made of light. I presume that everyone now has a light sword. I now have two thoughts crowding out any fear of the dog from hanging about in my head. I think, this is the first time I’ve ever seen any of the fianna use swords, rather than simply wear them so they can be easily identified. Secondly, I muse, light sabers may in fact have a very real origin within someone’s experience with the world beyond this one. Star Trek could very well be divinely inspired. Now Oisín is pointing the sword at the dog. A bright band of white light is rapidly streaming from the tip of the sword, soaring in a wide arc over the twenty feet between the living room sofa and the front door. This light, I realize, has very long range. It is one continuous, concentrated, brilliant beam that traverses the room in less than seconds while never breaking apart. It is almost like a Lazer, but within whatever spectrum of light is visible to me. As I watch, the light beam is abruptly changing direction in mid air, shining rapidly down onto the dog’s head. The dog has not expected this, obviously. The light is streaming onto the dog’s head, and the fur on its head starts to pulse with an evanescent glow. Then the light bursts apart, shattering into millions of showering sparks. Wherever the rain of sparks fall, exploding like myriads of tiny prismed multifaceted intangible crystals, nothing remains. With three on one like this the dog doesn’t even have time to growl. It vanishes almost instantly, and not a trace of it remains. I think my mouth is hanging open slightly. I am infinitely grateful and also full of awe and a great curiosity as to the physics of this particular kind of light. I am, I admit shamelessly, a physics groupie. I taught myself physics in high school when the teachers weren’t sure how to teach someone who is blind, and then read many physics books for lay people for fun, and passed a course at Stanford in special relativity and conceptual quantum mechanics with one of the highest scores. I know this is no manifest light. Upon hitting an object, many colors, that is wavelengths, contained within the wave of a single white light beam will get absorbed by the atoms in that object, and some colors will be reflected. You see an object as green, for instance, because, in this object, green is the only wavelength, color, of light that the atoms in the object haven’t absorbed. Black objects and black dogs are their color because they don’t have a color to reflect. That is, in a black object or entity every wavelength in a light beam gets absorbed and “stays” in the entity. This is why color appears to be absent. Spiritually, I have come to learn, humans are like most manifest objects in this respect. That is, when you hear someone tell you that your shadow side, that part of you that is suppressed and disowned, must be brought out and integrated for you to grow, there is a deep truth of physics behind the why of it. Perhaps such a task is less frightening if you know that the shadow is dark because it has absorbed all the colors of the light within you that you fail to or refuse to draw out and express. With most things and all people, including otherworld people, light is always in the darkness, waiting to shine. Not so for whatever creature the dog actually had been. Whatever its composition was, it was made of no ordinary darkness, either. A dark object always has light within it, stored as energy in its molecules. The darkness in the dog, however, seems to be a kind that abhors the light, and shrinks from the opposite of itself. It seems to be such that it has no capacity to absorb color, but is in the purest, most sinister sense of the word, a void. Now it is the nothing at the heart of its essence, and perhaps not now even that. I shiver slightly at these thoughts, glad for the comfort of Oisín’s hand, still resting on my shoulder, and the presence of the others. I am so very lucky, I think, to have such wonderful friends, who are willing to walk their journey with me and protect me, even though most likely I am the one who let the dog in by keeping that portal open in my living room for so long. Live and learn, I suppose. I sincerely thank all three of them for rescuing me. Before leaving, Oisín wraps me in still, quiet, golden light, so I’ll feel safe enough to actually get some sleep. The next day, I invite a manifest friend over and together we sage the apartment thoroughly, walking the perimeter counterclockwise three times. Then with my Tibetan singing bowl, I reclaim my space as mine. I hope now I have properly banished everything and everyone unwelcome. I set the intention that this space is for me, my family, and my friends, in this world and the next, and only for us. In 2008, I develop a chronic and serious medical condition that is not properly diagnosed for the next six years. It is an intestinal condition and here is the thing I learn about such conditions: there is a lot of stigma around them and it is almost taboo to speak about it. So it has taken me over a year to decide to post this. I am tested for Crohn’s, IBS, a whole gamut of scary conditions—but never, oddly, for the one condition I end up learning I have. I wonder if my problem has anything to do with my diet, so I give up dairy, gluten, and nuts and seeds. None of this works either, and is instead quite the hassle to deal with in daily living as I am exhausted, not absorbing any food I am eating, and scheduling my life around my illness. Besides the physical illness, however, there is an even stealthier nightmare to contend with: the nightmare of secrecy, shame, self-blame, self-disgust, and isolation. At the same time that I want an accurate diagnosis, I also live in constant fear of its discovery. I believe that if anyone finds out, it will be proof that I must be replaceable and unloved. Sometimes I wish I could never see anyone again. I feel like I am living someone else’s life. I have certainly checked out of the one I’ve been given, but like the lyric in Hotel California, “you can check out any time you like but you can’t ever leave.” I have already made up my mind a while back that “leaving,” which would mean complete apathy or death, is no option for me. I just wish I could be a whole person again. It takes until March of 2013 to get a proper diagnosis, after which I am immediately referred to a surgeon. I find I am mortified and relieved to finally be taken seriously and have an explanation for the terror and pain. I can finally name my nightmare that has taken over my life, its truth borne silently and in hushed horror. And as I come to accept both that I will not have to endure this forever, and that surgery is my only option, as I work hard to heal my shattered spirit, I begin slowly to surrender to what is. Very slowly. It has been extremely difficult to prepare for surgery: all the ins and outs of care I need during the hospital stay and then again almost constantly for the three weeks following, the lining up of friends and family, social workers, and dealing with bureaucracy has been almost too much to handle. During all this, four people from the otherworld keep appearing together around my living room. Quietly, with no expectations of their own, they lend me support with silent presence, and it is strangely validating, this vigil of acknowledgement and how they do not judge me for not being whole, or well, and don’t look away. They wear homemade wool outfits, are extremely tall, and carry swords and shields with swirly ray patterns on them, so I can’t tell precisely if I am seeing the symbol for sun or water, or both at once. They look solemn and serious. They rarely move. They have yet to speak to me. That hardly matters. In the other world, whole conversations can occur without words. I don’t know their names or why they are here, I mean why they are bothering to hang out with me, but I am not ever surprised to see them, it is kind of like arriving home from a long day and finding your family there— ordinary joyous contentment, belonging. I am also way too exhausted and ill to ask questions or even be particularly polite, but they don’t seem bothered by that. I simply except, gratefully, that they are here, as I go about making countless phone calls, and work out my manifest world recovery team who will have to spend three to six weeks assisting me while I don’t have a guide dog. The surgeons don’t want him with me while there’s a chance he could pull on me or cause me to fall. Now, six months after my referral to a surgeon, around August 20th, I am attending another appointment for a second opinion. I am prepared to take as much control of the situation and my health as possible. I have literally twenty-five questions on my Braille computer ready to ask, thoroughly researched. I’m leaving no stone unturned. I look around the room and find all four of my otherworld people are here. When our eyes meet, their eyes are kind, with a somber calm within them. I marvel at how they can see into the truth of things, but don’t evaluate what they see. This in and of itself is a gift to me. When I think there is no way I could possibly be safe, I look at my otherworld people and they help to ground me in myself, in a gaze that simply accepts what is. When the surgeon walks in, I think, well okay, this surgeon dude tries messing with me, he’s going to be really sorry he does. That thought makes me smile despite the circumstances. These four people from the otherworld are formidable looking indeed. They certainly command anyone’s respect, and I surmise, would most likely instill fear in anyone who got on the wrong side of them. The surgeon, I notice, is effectively surrounded. I am relieved and for the first time ever while in a doctor’s office, I feel safe. Fortunately, the surgeon is thoughtful and respectful, and doesn’t hold limiting stereotypical views about people with disabilities. He answers my questions thoroughly and to the extent it is humanly possible, puts me at ease. I am so young and otherwise healthy that he is confident the surgery will be a success. He corrects my misinformation and this in and of itself silences many of my fears. Meanwhile, my otherworld people keep their vigil around the room, holding space for me, keeping me centered, their presence silently challenging my belief that until I am well I am not valuable to anyone. I cannot seriously have this thought and look into their eyes at the same time, and so unless I need to be looking elsewhere, I never look away from them. I let go, completely, and by the time she repeats the affirmation a third time, I’ve lost consciousness. When I awake, I know I am well. I still need to recover, but my body feels like mine again. My first words are, “I’m so happy!” I realize surprisingly that at the moment I am not in any pain at all, despite just having gone through an intense major procedure. But that is not the only gift I receive from this experience. I know that my choice to surrender is the greatest gift I could ever imagine: I come home to myself. I do not lose myself, but find it again. I find peace, and this peace stays with me wherever I am. I spend six days in hospital. I do recover well, but there is still all that uncomfortable and gnarly stuff that comes with having major surgery. Incredibly, amazingly, my other world people stay with me the whole time, regardless. They hold space for me, and protect me so all I have to do is heal. I don’t need to see them. I can feel the light that surrounds me, and it is like being a child who finally experiences what it is like to be held. It is only after six weeks of recovery (after which I can eat whatever I want!) that I see my four otherworld people vividly, in front of me, like I normally do. And when I do, it finally occurs to me to ask who they are. When they tell me, my rational brain goes on strike until further notice and I am caught in between impossible and possible, acceptable and unnervingly unacceptable reality. I spend the first week in a bit of stunned denial, and ask them at least twice a day to come again with who they are. Occasionally I worry that I am engaging in the most outlandishly creative act of imagination ever conceived. Have I lost it? But no, somehow I know I am probably not making this up at all, and the adage ‘truth is stranger than fiction’ would absolutely apply and I’d be incapable of dreaming all this even if I tried. Also I am definitely not dreaming. Also, I have been too busy preparing for and then recovering from surgery to try. Also, if these really are the people they say they are, I absolutely have to believe them. Still, I am having trouble accepting this reality. Moments strike me at random in which I am confronted with trying to come to terms with what is going on. Why would these four people, who I don’t even know, choose to spend days with me in which I can barely get out of bed, am often in pain, and need help doing almost everything under the sun? How can they see the state I’m in and not judge me? Why is it that, though they never look away, I feel peacefully, utterly safe? I am beyond grateful. But why? Why do this for me? It’s a response that effectively separates itself from any line of argument to the contrary. It causes me to think seriously about the negative view of myself that I hold and always have taken for granted. I know that if I were given a reason why, I’d try my best to come up with why I still did not deserve it. But there is no reason. I am given instead an invitation to accept what is. It takes some time, but acceptance does come. I accept despite my culture’s aversion to spiritual experiences that make no sense, I accept though this leaves me in profound humility, gratitude, and wonder. And I am forced to confront my incredulity that I could ever be worth doing such a thing for, ask myself whether I have been wrong my whole life about lacking value unless I am exceptional or perfect, whether, regardless of my blindness or health or illness or strengths or weaknesses I might just be enough. Really? And why? But as I will come to find out, there are many preconceptions of myself and the world that I’ll be turning on their head, reevaluating, and growing from, letting go into awe and gratitude and wonder, coming home. By the time I finally leave the house with Allegro and make my way to Aquatic Park to go look for what Oisín and the others have left for me there, it is around 5 PM. I certainly had no expectation of anything in return when I first agreed to make my place their own. I am still just as surprised as moved that they’d secure some kind of manifest world object for me to show their gratitude. I still know little about what is possible in the otherworld, but imagine that moving physical objects to specific locations is no small matter, and it is even possible that it would take tens to hundreds of otherworld people to accomplish such a thing depending on the size of the object. Even now, I have no idea how they did it. The walk is quiet and uneventful. Hardly a manifest person is around. The water laps softly along its bank, the birds’ songs are muted, and the trees stand silent and resolute against the sky which is slowly darkening into ever more mysterious shades of twilight. This has always been my favorite time of day. As a child, I used to cherish my time outside when the sun’s light, glowing like ebbing flame starkly against the night’s deepening presence, revealed to me a world of image that usually was lost to me. Often, I’d stand precariously on the back of a swing in the yard, frightening my parents for sure, but too immersed in the ecstatic wonder of suddenly illuminated shapes and outlined objects to care much at all about something more earthly, like safety. Besides, I reasoned as only a six year old can, I had excellent balance. I could not as well leave this brilliant light behind just to heed adults who wished me to come inside. As with then, the fading light fills me with a silent, quiet, wild joy and I still imagine myself laughing and leaping and flying through that light, which is filling every space around me now with its mystery. I walk through this wondrous world, tracking the shadows in the wooded areas to my left where I found the picnic table that I am trying to locate again. An older man, who I met once before in passing and know is quite lonely, says hello to me and I ask whether he knows if I’m near the turn off to the table. I think I am, because there are lights above and beyond the brightly infused sky flashing in the trees at this spot. But finding a picnic table while offroading with a guide dog is a hit or miss project. He assures me I am in fact close by, and asks if I don’t mind some company. I look around and don’t see Oisín nearby, so I agree that we can talk for a little while. I briefly wonder, as there are no other manifest people within sight range to speak of, if the man might think I’ve had enough and am just trying to back out of talking to someone twice my age. Fortunately, he turns out to be happy to grant me my request for solitude without question, and doesn’t appear to be taking it personally. When he leaves, Oisín walks over to stand beside me. “There are a great many trees around here,” he observes, “So I thought to come show you to the one I spoke of yesterday.” This is true enough. Together we walk over to a tree which is at a diagonal from where I was previously sitting. Once I am standing in front of the tree, Oisín vanishes, presumably so I can discover for myself what he’s left there for me. I have to admit that I am now feeling a bit like a kid on a treasure hunt. No point in ignoring the curiosity of my inner child now, I decide. Cautiously, unsure if I’m looking for something sturdy or fragile, I reach out my hand. The tree is eucalyptus, like every other of its myriad cousins in this area. But the branch my hand encounters is not only very detached from the tree, but is actually made of Oak. It is placed rather impossibly around the trunk, and to this day I haven’t been able to get anything else to stay up there. I’ve tried, I admit. I take the branch down from the tree. It’s big! From one end to another is approximately two feet across. There is a section of branch which is just the right size to fit my hand around. Holding it there, the rest of the branch splits into two halves that arc away from each other in a kind of narrow semicircle. On each end, two twigs stem out giving the whole of it an uncanny resemblance to deer antlers. I know the significance of deer to Oisín’s immediate family. His father, his son, and himself were all named for this animal, after all. As a totem animal, a concept from a culture which Oisín’s clan would have never known existed, deer are usually symbolic of inner gentleness and compassion, as well as protection. I mean, that can be quite true of them and everything, but deer aren’t like that all the time! They’re also wild, fiercely territorial and adaptable, resourceful, and don’t hesitate to answer to a challenge. When I have looked into Oisín’s eyes, I have seen all these things, and more of course. I for one think that if a totem is going to give insight into the spirit of a person,, it’s probably best to recognize that nonhuman animals can have natures as complicated as any human. I digress, however. I imagine that if clan Baiscne, to whom Oisín belongs, had a family emblem, I am holding a representation of it in my hand. I have too many thoughts and feelings occurring at once. I am astonished and happy and wondering how many people it took to get this branch here—it’s so big. I am moved by how one physical object could convey so much meaning to me. If I had ever worried about being accepted, it looks like that worry is both unreasonable and I not only belong, but somehow have been accepted into Oisín’s family. This realization overwhelms me. It would be hard to believe if I weren’t holding tangible proof of it. Equally overwhelming, however, is that, as I gaze at the branch in my hands, it seems to emit a soft, continuous glow, as if the very wood could radiate that divine spark at the heart of itself out into the changing clay world. This is all quite enough to take in, so I do what I usually do when I have more energy than I know what to do with: I choose a direction and take off. Full of a wild inexplicable joy that seems to suddenly come upon me, I gather up Allegro and we walk so fast that we are practically running. I’ve never run with a flashlight, having never had the need for one, but the blazing light around the antlered branch in my hand illuminates the night, casting bright shapes across the landscape. Sometimes, when I look through the middle where the branch splits in two, I feel like I am almost catching someone’s eye. I definitely do not feel like I am walking alone. There are no manifest people in the park at the moment. Somehow everything around us holds still, while we, myself and what feels like many who I cannot see but seem to be with me, traverse the trail back to my apartment. I, or perhaps we, make it home in record time, and the whole return journey has oddly felt effortless. Once I walk through the door into the kitchen, I carefully set the branch down while I go get a vase from above the refrigerator to place it in. This is not because it needs to be placed in water, but just because I can’t think of another way to make sure it won’t fall or get broken. I’m trying to grab a glass vase precariously from a cupboard which is slightly too high for me to actually reach safely. But I’m in a great mood and not alone. This means I’m determined to attempt to accomplish what I’m aiming to do successfully, since I feel I can do just about anything at the moment. “Don’t do that, you’ll get yourself hurt,” someone is saying with concern, and when I turn around I see Oisin standing behind me. Is that what I was really trying to do, I ask myself a bit reluctantly? Well, okay, yes that was a substantial if far from explicit part of my motivation. It would be too awkward and self-defeating to deceive myself into thinking otherwise. “Thanks,” I say, and grab a chair from the kitchen table to stand on. The particular vase I need, it turns out, is behind a bunch of other smaller vases and would have been impossible to grab from my earlier vantage point on the floor. I am growing, even now, but I just have to remember that won’t translate into physical height. 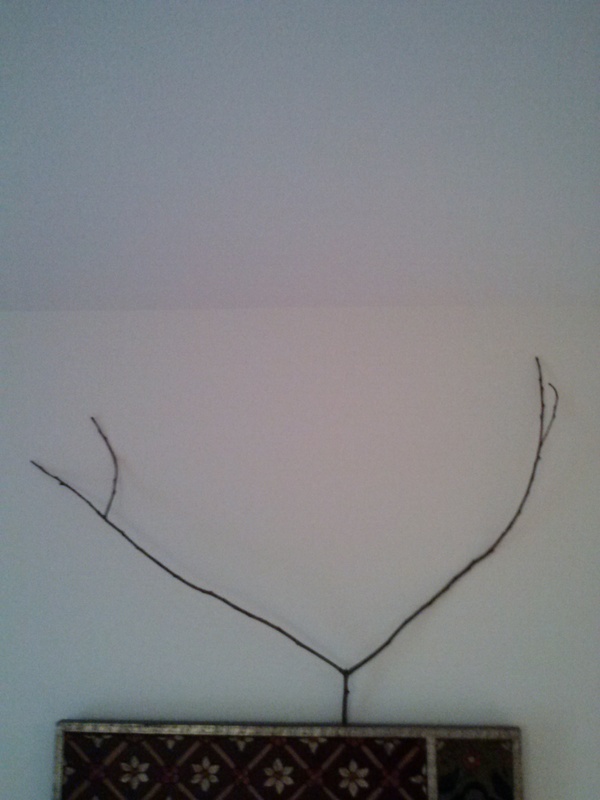 The antlered branch is still shining with otherworldly light where I’ve placed it on the counter. It’s amazing in its own right, but perhaps more, well, awesome still is that I have become like family to Oisín and the fianna. I am trying to integrate this into my world and it’s happening very slowly. Attempting to sort out my thoughts, one in particular suddenly comes unbidden into the forefront of my mind. Is it possible, the thought interjects, that I have always been a part of this family and just don’t know it for certain yet? How else to explain why I’ve felt like Oisín is a long lost grandfather? Why else does he call me child? But I can’t even entertain the idea. I almost desperately shove the thought out of my head so that I don’t have to possibly face another instance in so many days of my beliefs being turned upside down. So instead, I turn to Oisín to thank him properly. In response, he simply fills the room with light. We are, I realize, speaking without words. And in the silence there is understanding, of what is, which words don’t ever seem to capture adequately. I’m glad that I can let go of trying to put everything into language and can communicate through wordlessness. This wordlessness is, I am beginning to realize, the grammar of being, it is why silence is intelligent, and how existence speaks for itself. Engrained in every surface where it shines. I am, I am, so grateful to be. And the words form wings. Expanding from every point, changing never leaving. I know I can’t fall, only fly. I rise, I rise, and always I’ll be.